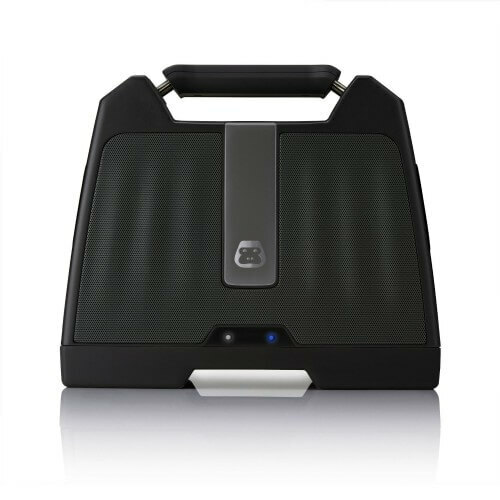 A proper Bluetooth boombox should provide superior volume and sound quality and have a carrying handle or strap, as well as some protection against the elements. The portable Bluetooth speaker market is constantly evolving but there are not many choices when it comes to large boombox models that are designed for the outdoors. We scoured the internet for the best rugged Bluetooth boomboxes and came up with the following models that offer the most potential for your outdoor parties. 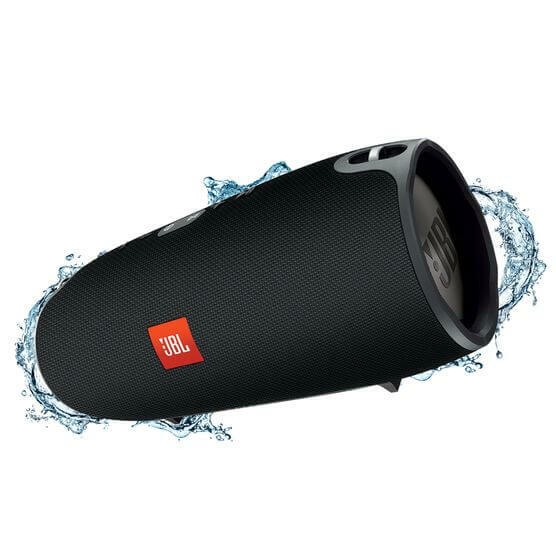 The JBL Boombox is a large Bluetooth speaker that can withstand any type of weather and splashes from the pool. The huge 20,000mAh battery can provide music for up to a full day of partying, and the large carrying handle makes it easy to transport. It also serves as a power bank and provides charging for two devices with its USB ports. The Boombox is JBL’s largest portable Bluetooth speaker and is power by two 4″ woofers and two 20mm tweeters. Two phones can be connected at the same time for multiple DJs, and if more than one speaker is desired, multiple Boomboxes can be connected together. 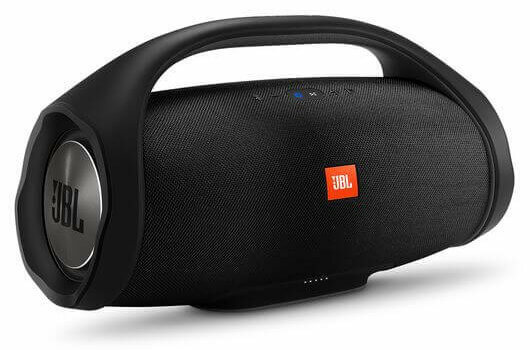 The JBL Xtreme is JBL’s largest portable Bluetooth speaker. Weighing a hefty 4.7 pounds, it resembles a supersized JBL Charge 2. It can withstand splashes but should not be submerged. The Xtreme includes a detachable shoulder strap for easy transporting or wild partying. The Xtreme has favorable reviews complimenting its loudness, bass, and overall sound quality. It’s good enough to use as both a home speaker and an outdoor boombox. You can also connect two Xtreme speakers for stereo sound with the JBL Connect app. UPDATE: The JBL Xtreme 2 is now available. Though they look the same and have similar specs and features, the Xtreme 2 has larger woofers for better bass output. 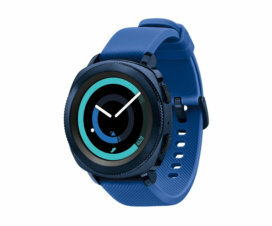 It also has better water water resistance (IPX7) compared to the original Xtreme, and can handle getting dropped in a pool. 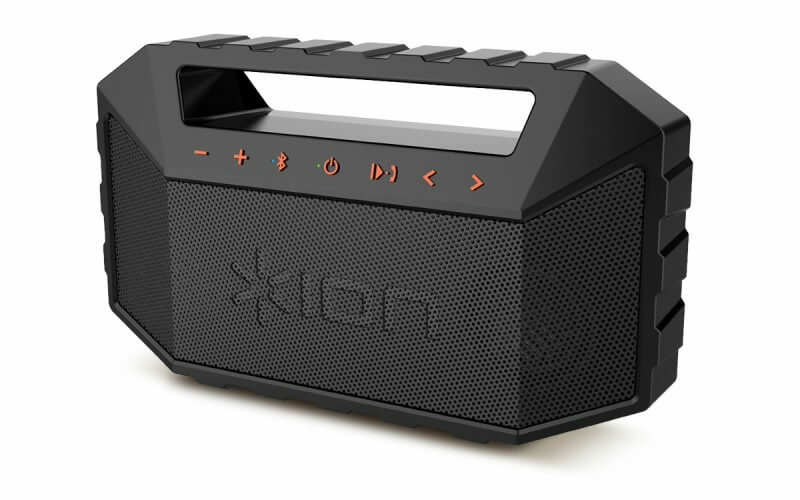 The ION Plunge is on the small side for a boombox but it does have powerful speakers and it is one of the more rugged boomboxes available. The Plunge has an IPX7 waterproof rating making it the best choice in places where water is present such as the beach, a pool, or on a boat. It can withstand submersion but it also floats. The 20-watt dynamic power amplifier combined with dual full-range drivers and rear-firing bass radiator provide true stereo sound and will give it more depth and bass than the average portable Bluetooth speaker. 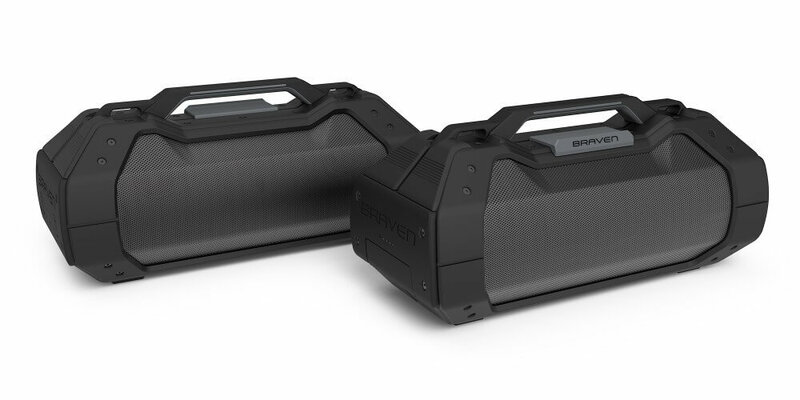 The Braven BRV-XXL is currently one of the top dogs when it comes to rugged boomboxes. The BRV-XXL has IPX-5 water resistance to protect it from rain and splashes. It is equipped with a huge 15,600mAh battery for 14 hours of play time and its USB port can be used to charge devices. The BRV-XLL features 4 HD drivers and a subwoofer for extra large sound. It also has a large handle, a carrying strap, and tie-down loops so you can securely strap it to something. Special party features include a 3.5mm microphone input to use it as a PA for announcements and a built-in bottle opener on the strap. Based on the quality of Braven’s other rugged Bluetooth speakers, expectations are high for the BRV-XXL. The NYNE Rock has the size and power one would expect from a boombox. The Rock features a monstrous 65 watts of power and a full 4.1 system with two active drivers, two active tweeters, and an active subwoofer for heavy bass. The exterior is a splashproof cabinet with a rubberized finish that will stand up to outdoor use. It also has a concealed carrying handle so you won’t have any problem transporting this big boy to wherever the party is. If the Rock is too large for your needs there is also a smaller NYNE Rebel version with 40 watts of power that weighs 7.8 pounds and measures 15.8 x 9.8 x 6.5 inches. The DemerBox is a rugged and waterproof Bluetooth boombox that originated on Kickstarter. It was invented by TV and movie audio professional James Demer. The DemerBox uses an actual Pelican case (in a variety of colors) as the body which makes it extremely rugged and durable. 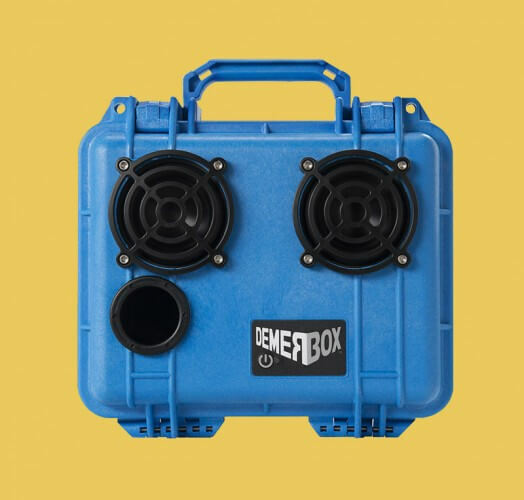 Though it does not have a water resistance rating, the company says each Demerbox is tested “with a proprietary machine that assures each DemerBox is fully waterproof.” There are two 3″ 8-ohm speakers with metal guards and a front facing bass port with a removable plug. Metal parts are made with stainless steel and all gaskets and O rings are UV-resistant. The DemerBox can also double as a storage case as the speakers and circuit board are built into the lid and there is still a lot of empty space on the inside. The battery can also be used to charge devices through the USB port. CNET gave the previous DemerBox Big Bang model a favorable review, saying the sound does not distort at loud volumes. 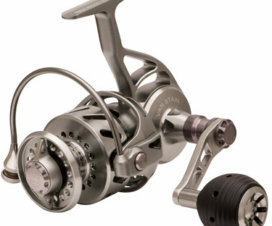 The $399 price is high, but keep in mind it is not a mass-produced product and each unit is hand-made in Portland, Maine. 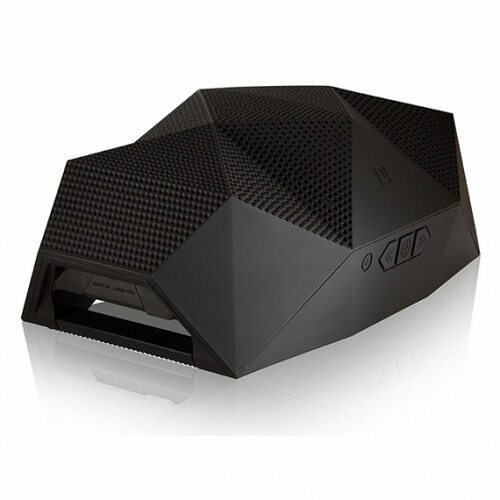 The Big Turtle Shell rugged Bluetooth boombox also got its start with a successful Kickstarter campaign. It is IPX5 dustproof and water-resistant with an uniquely modern form factor. It has dual grab handles on the bottom that can also be used to hang or mount the speaker to objects. The Big Turtle Shell is capable of loud sound up to 110 decibels. When laid flat the speaker provides 360-degree omnidirectional sound and it can also be placed on its side for more directional sound. The battery can be used to charge devices via the USB port. 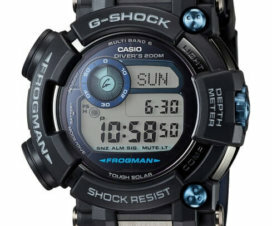 Though it looks great and its ruggedness is up to par, user reviews indicate that the sound doesn’t have much bass and there are battery-related quality control issues. 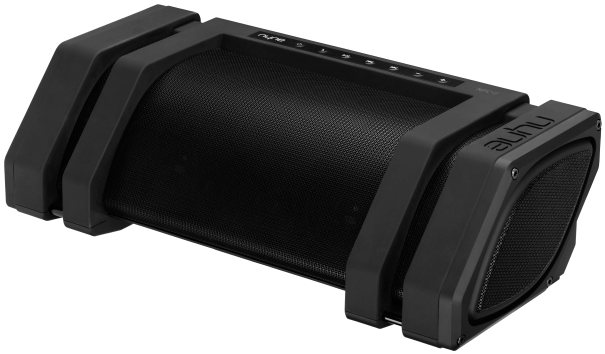 The G-Project G-BOOM Bluetooth Boombox uses 2 full-range drivers, 2 tweeters, and rear-firing bass ports to provide loud audio that is adjustable with 3 built-in EQ settings. 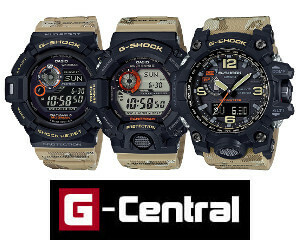 The G-BOOM has a rugged housing and rubber base but is not rated for water resistance. The G-BOOM looks a lot more rugged than the Logitech UE Boombox, but without a proper water resistance rating it should not be exposed to water. The G-BOOM is known for its impressive volume and sound quality and won the iLounge Product of the Year. The suggest retail price of $99.99 is quite surprising considering the size and quality of this speaker. Though it doesn’t have a handle or look like a boombox, the UE Megaboom is a larger version of the highly popular UE Boom 2 Bluetooth speaker. Its sound quality, volume, size, battery life, and waterproofing make the UE Megaboom a serious contender when it comes to loud and rugged Bluetooth speakers. The cylindrical Megaboom measures 8.9 x 3.3 inches and weighs 1.93 pounds. 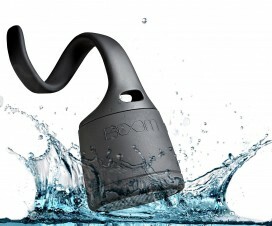 It has an IPX7 waterproof rating and can be immersed in 1 meter of water for up to 30 minutes. It can play up to 20 hours, providing 360-degree sound up to 90dBA with its two 2″ drivers and two 2″ x 4″ passive radiators. Its size may not excite the crowd into a partying frenzy but its sound certainly will.